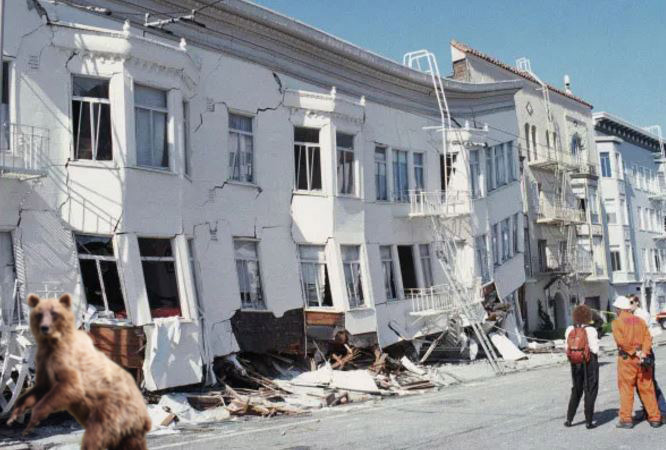 It all started when amateur photographer Corrigan Nelson was enhancing old photographs of disasters. 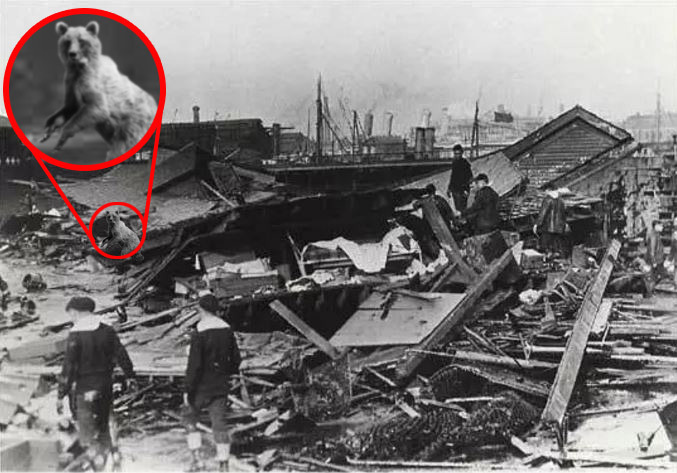 In a famous picture of the Boston Molasses Flood of 1919, he discovered a shape in the background resembling a very sneaky bear. 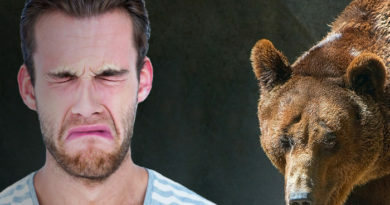 He posted the photo online to get a second opinion, which is how Otis Schwenkley discovered the image. 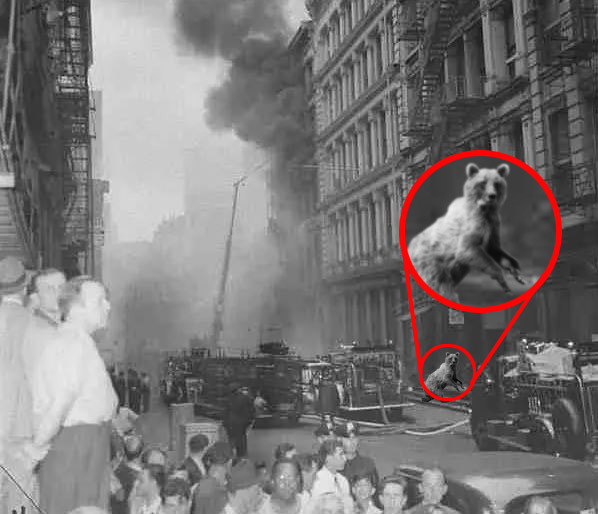 Schwenkley, of the Photographic Technological Institute, used hyperzoomography to enhance the image to reveal a secret player in the molasses tragedy. 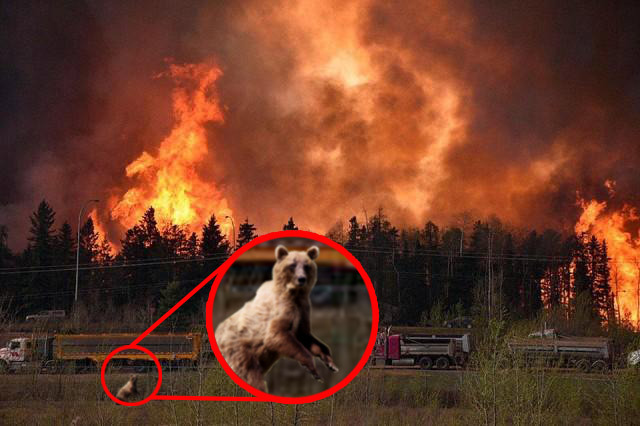 A very sneaky bear. The Boston Molasses Flood of 1919. Was this the work of a very sneaky bear? 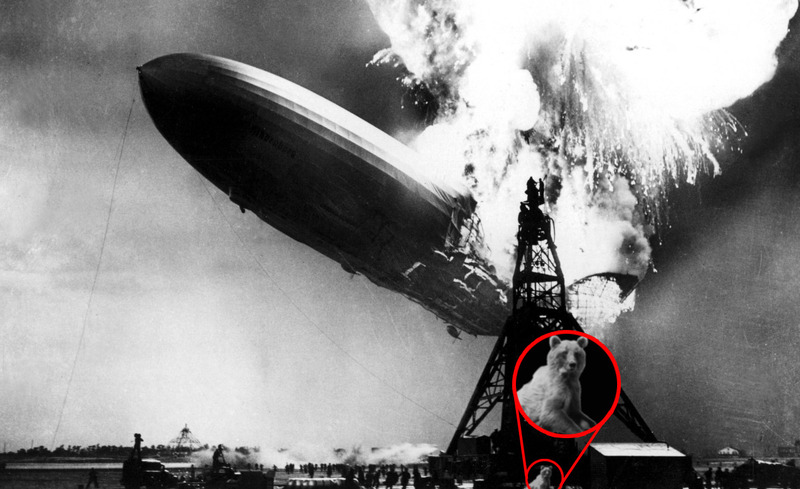 After posting the results, another collector of historical photographs, Marlena Pickwick, realized that she too had seen the peculiar but tiny shape on her image of the Hindenburg Disaster. 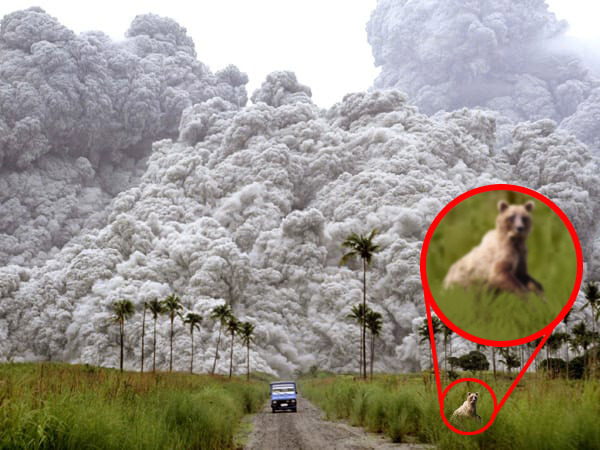 Soon, more photos were turning up of known disasters, each with the same very sneaky bear fleeing the scene. 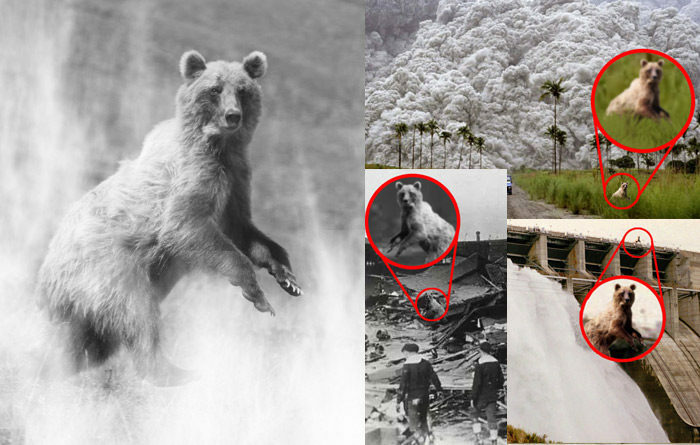 Experts disagree on the validity of the photos, but it’s enough to open new investigations into disasters we thought had been settled long ago. What do you think? 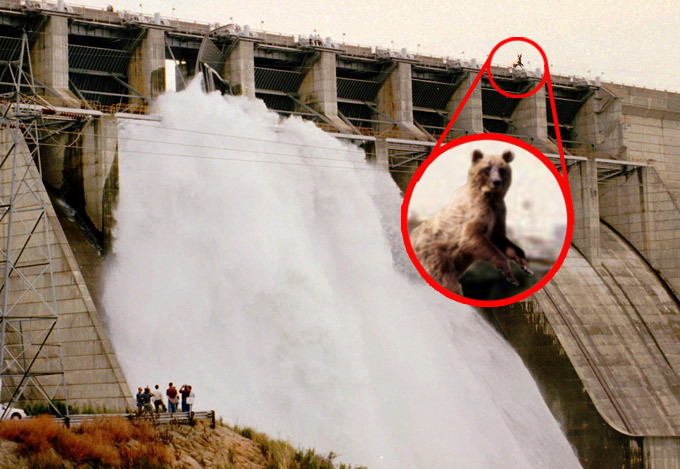 Were all these disasters the work of a very sneaky bear? Mt Pinatubo Eruption, 1991. 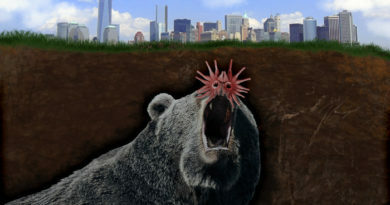 Can a bear cause a volcano to erupt? 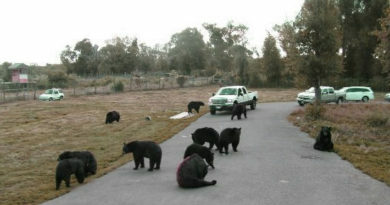 Sneakiness is not a quality usually associated with Bears. This is not good news. I saw AC/DC a few years back and one of the strings on Angus’ guitar broke during ‘Whole Lotta Rosie.’ I’m sure I saw a clawed paw slip away from the guitar immediately after. It’s all starting to make sense now.